As some of you may already know, I, Blake Bailor, just so happen to own my very own freestyle scooter apparel/lifestyle brand by the name of “ADVCT”, which is something that I hold near and dear to my heart. With that being said, I tend to release some of my footage under their name for promotional purposes. One of my most recent ADVCT video releases was my official “ADVCT Promo” video, which just so happens to feature roughly a minute of my latest and greatest skate plaza footage. Although this video is particularly short, it definitely took quite a bit of blood, sweat, and tears to land the vast majority of the tricks featured in the video. I always strive to push myself to my absolute limit whenever filming for a video because I want to be able to showcase my very best self on film, and as you should already know, film lasts forever, so keep that in mind the next time that you go out filming with your friends. This video definitely features some of my very best skate park footage to date, and I am very proud of the way that all of these tricks turned out, so hopefully you feel the same way after giving it a once through. It may not have been released on the official Lucky Scooters YouTube channel, but it is definitely up to par with the Lucky Scooters level quality of videos content. I must say that this is definitely some of my personal favorite footage that I have ever collected simply because of how hard I had to work to roll away from each and every single trick in the video. The vast majority of the tricks that I perform in this video were just ideas in my head for the longest time before I was finally able to turn them into a reality. It just goes to show you that you can achieve practically anything that you set your mind to in life, regardless of how difficult it may be, as long as you are willing to put fourth the hard work and effort in order to do so. Keep that in mind next time you are riding your scooter. Also, bare in mind that I am riding my very own Lucky Scooters signature Evolution deck and TEN wheels, so if you haven’t had the opportunity to take a closer look at those two products yet than there is no time like the present, so be sure to pay close attention. Anyways, hopefully each and every single one of you enjoys watching this video as much as I enjoyed creating it for all of you. 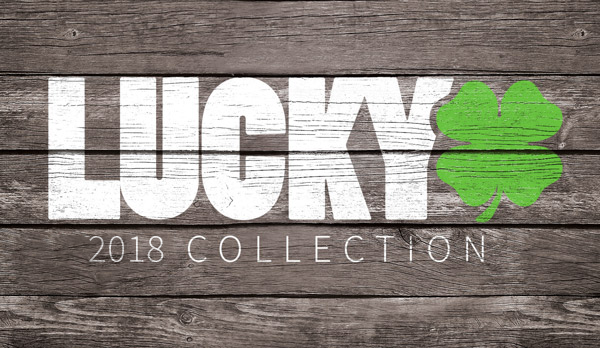 Everyone be sure to stay tuned right here at the Lucky Scooters blog for more Lucky Scooters team rider content such as this awesome video of yours truly, along with any and all other future Lucky Scooters news, content, and updates. Need a new scooter? Shop HERE! Want to connect with the Lucky team? Click HERE!